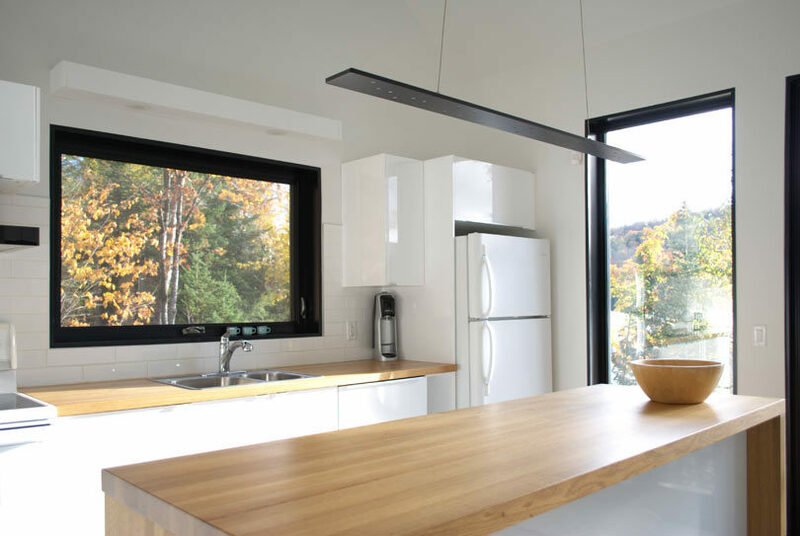 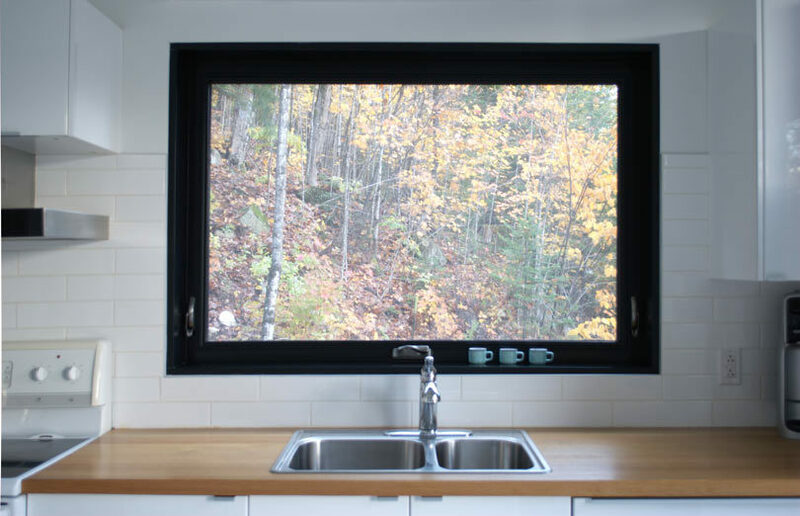 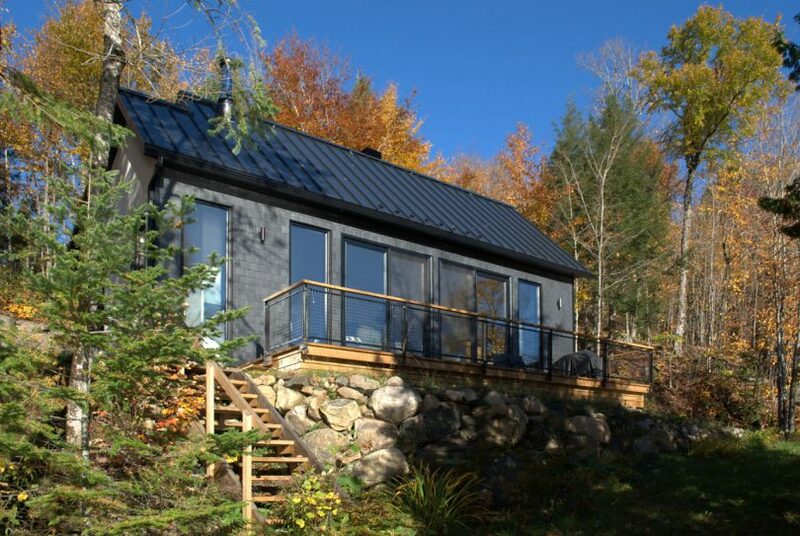 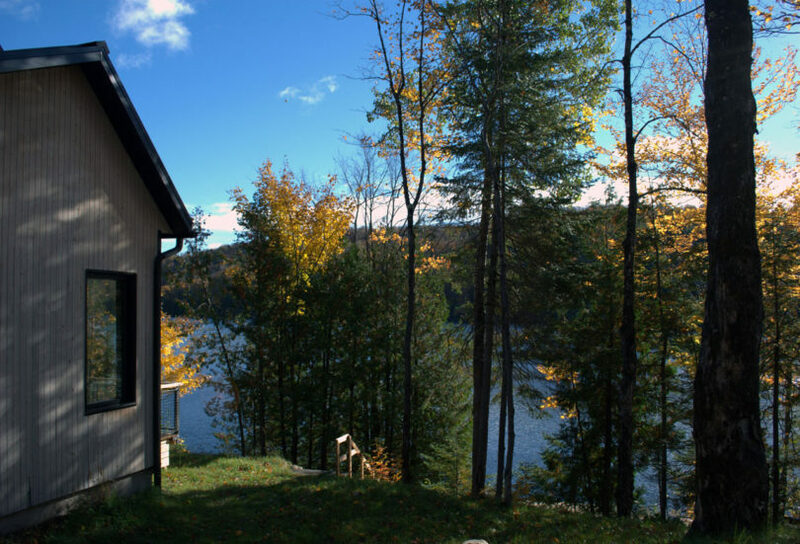 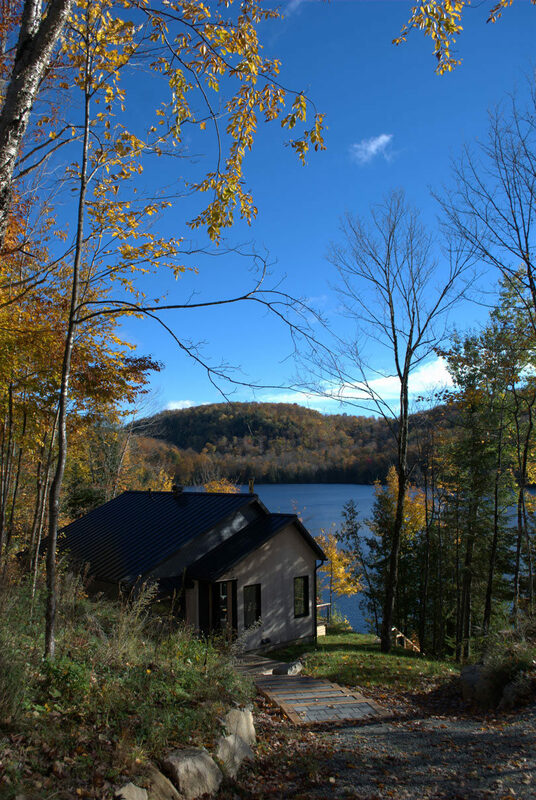 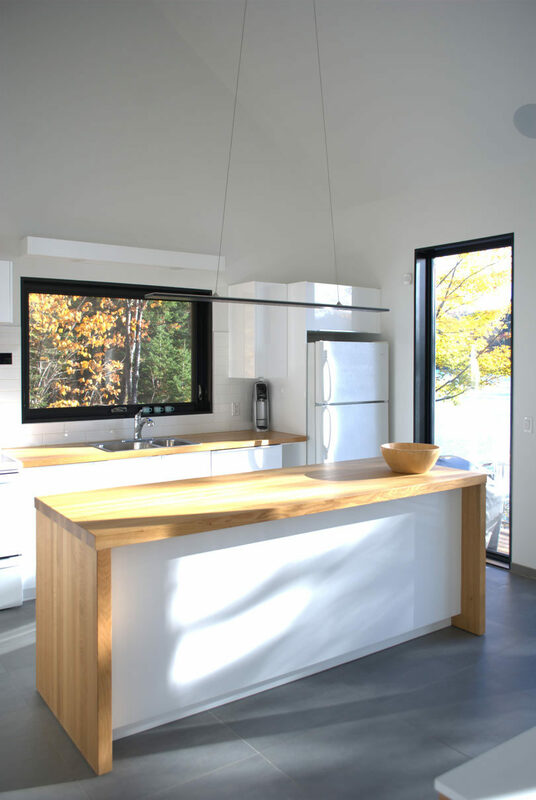 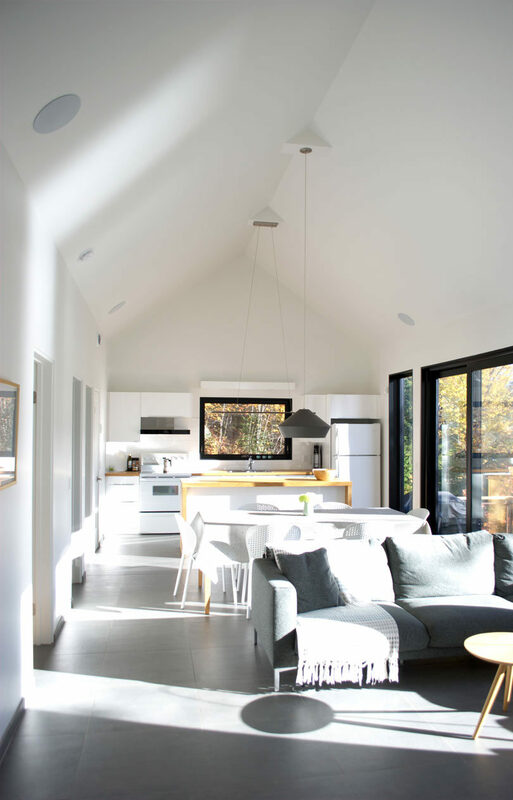 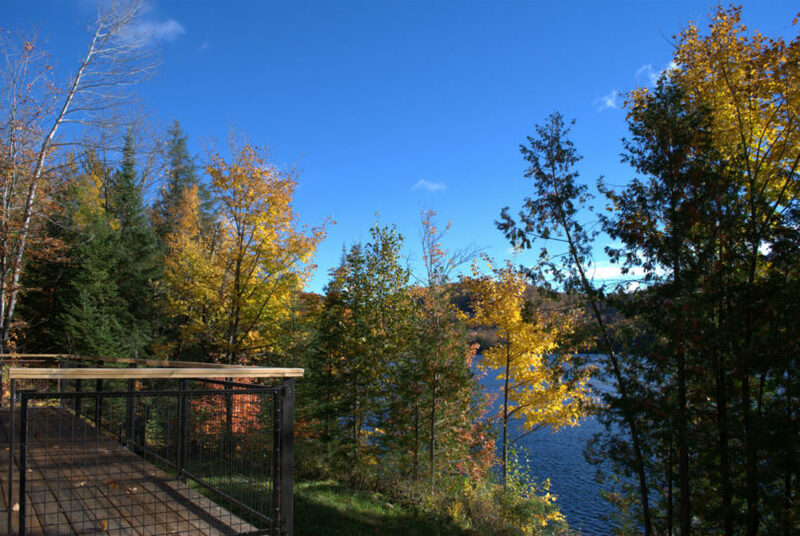 Spanning a compact 915-square-feet, the Wentworth Cabin resides in Wentworth-Nord, Québec, Canada, looking out into the tops of the surrounding trees with a lake only a short distance away. 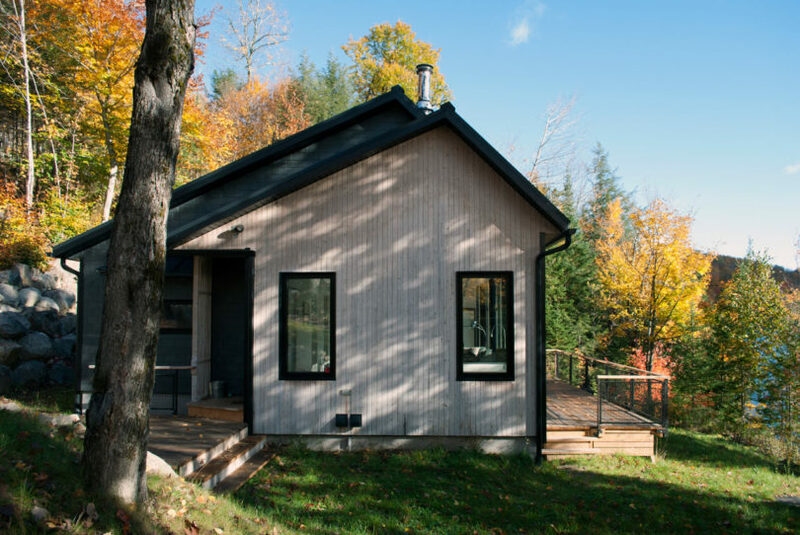 The cabin, designed by Parka Architecture, is integrated into the slopped plot of land making it feel like it’s supposed to be there. 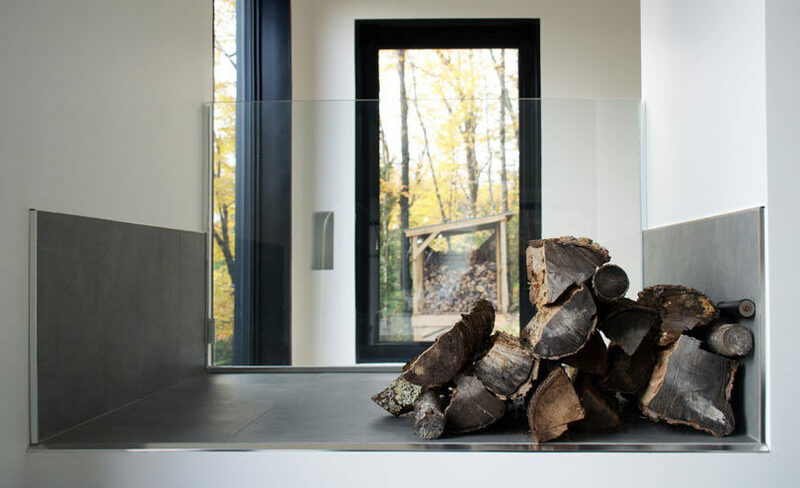 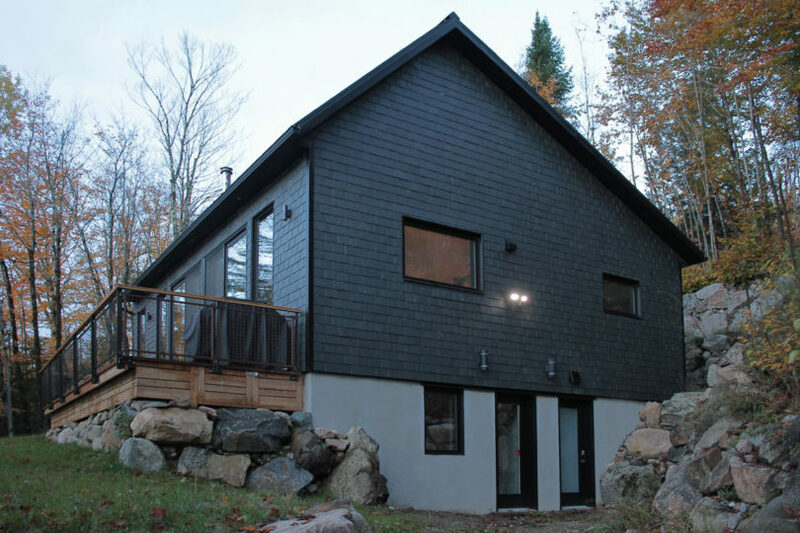 The simple structure boasts a modern feel with its dark exterior that’s clad in locally sourced wood and natural slate clapboards. 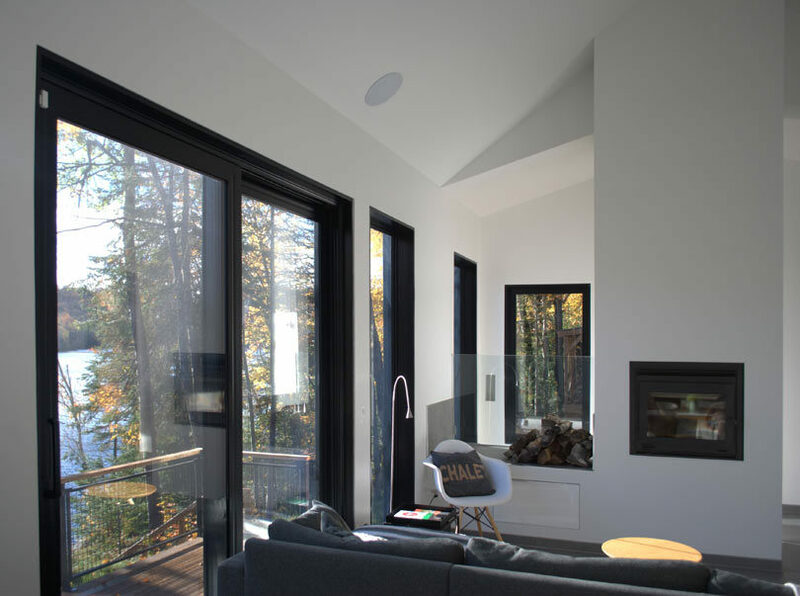 The living spaces are located on the top floor where the water and forest views can be enjoyed through the many windows and doors. 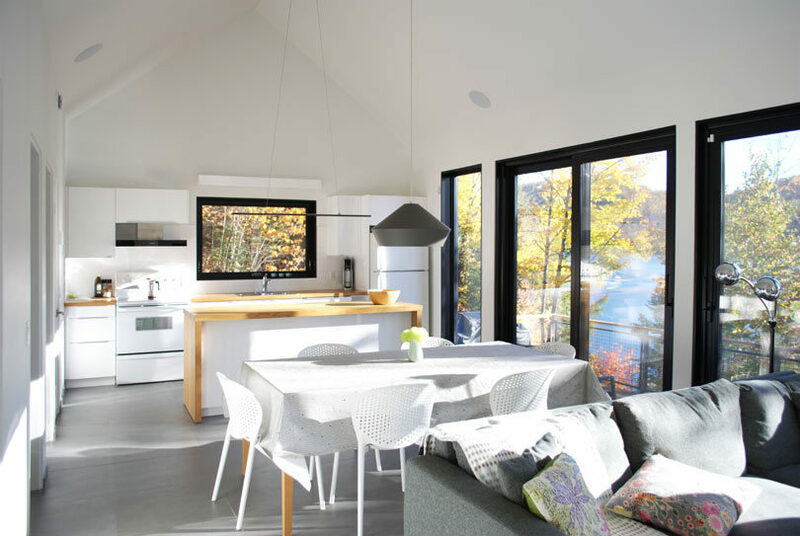 The light-filled open floor plan living room, dining room, and kitchen extend out to the deck making the interior feel even larger. 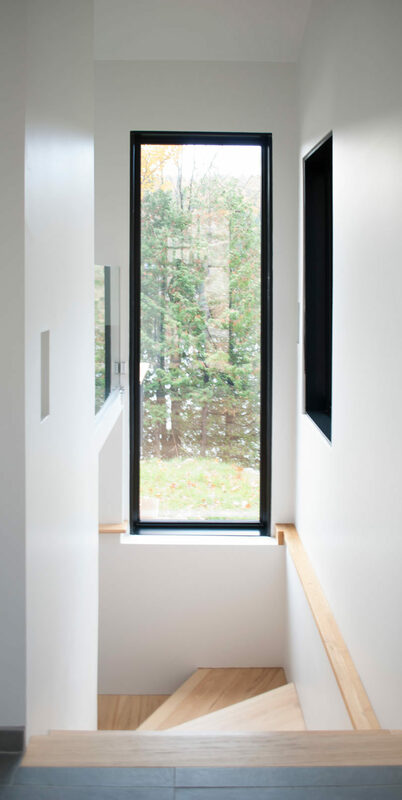 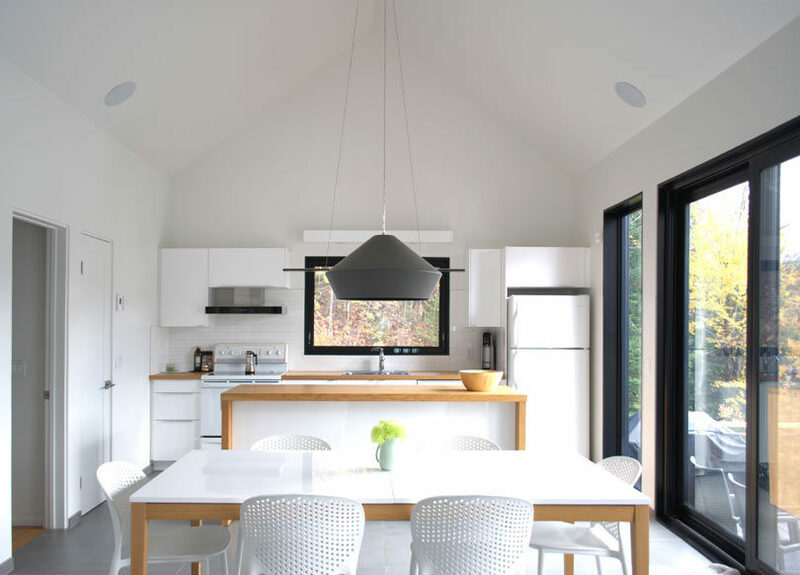 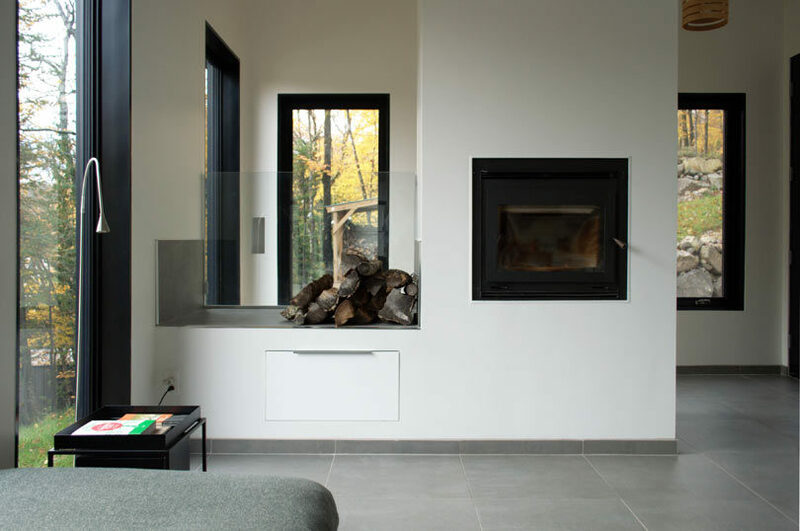 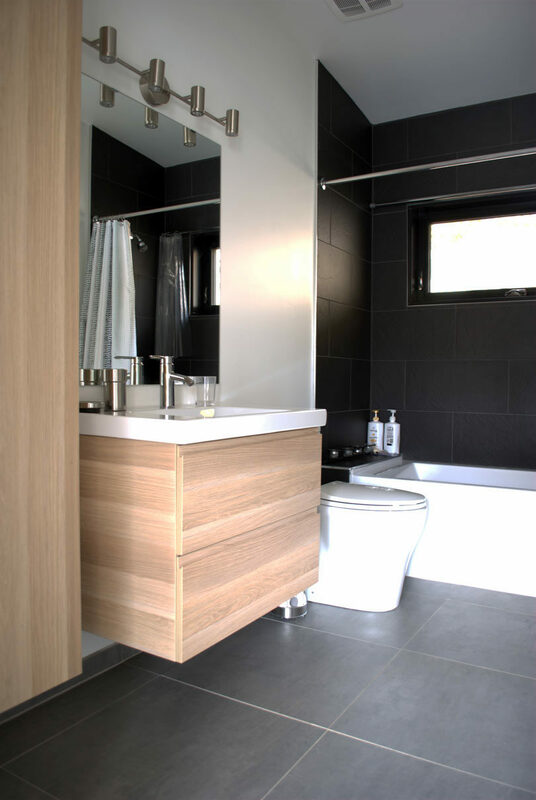 The interior was given a minimalist feel with a mostly white color palette that’s a stark contrast to the exterior.